A selective laser sintering process has been used to consolidate electro-ceramic thin films on silicon substrates. 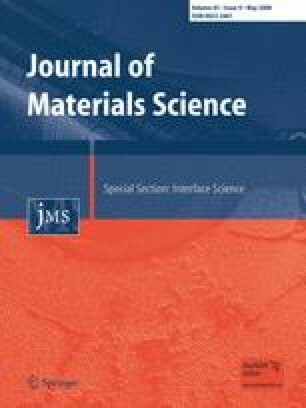 Methods of forming pre-positioned layers of barium titanate were investigated by spin-coating the feedstock powder mixed with a commercial polymer photo-resist. The ceramic–polymer composite was deposited directly onto a nickel film which was evaporated onto a silicon substrate, pre-oxidised to form an electrically insulating layer. A range of laser processing parameters was identified in which consolidated barium titanate layers could be formed. The laser power was found to be more influential in forming sintered microstructures than laser exposure time. The microstructure of barium titanate films is sensitive to the SLS laser-processing conditions, with the optimum laser powers for the processing of the BaTiO3–polymer found to be in the range 17–20 W. This article highlights the possibility of using ‘direct write’ techniques to produce piezoelectric materials upon silicon substrates. The authors gratefully acknowledge the financial support of the Engineering and Physical Sciences Research Council.